Hi! 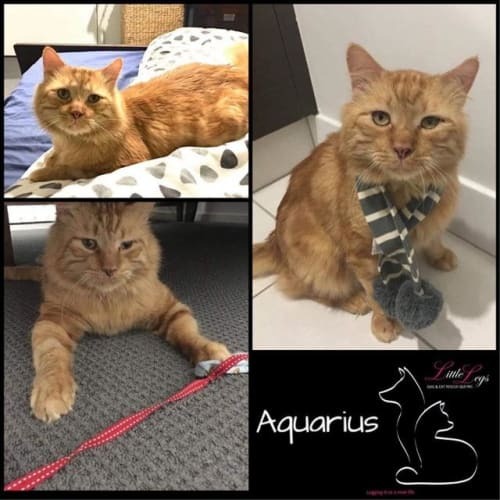 I'm Aquarius!I have been waiting for my forever home for more than SIX MONTHS! I get it - FIV+ sounds like a scary thing to have, but it really isn't! My forever family will need to treat me like any other indoor cat.But enough about that! There is so much more to me!I love just about everyone and everything. 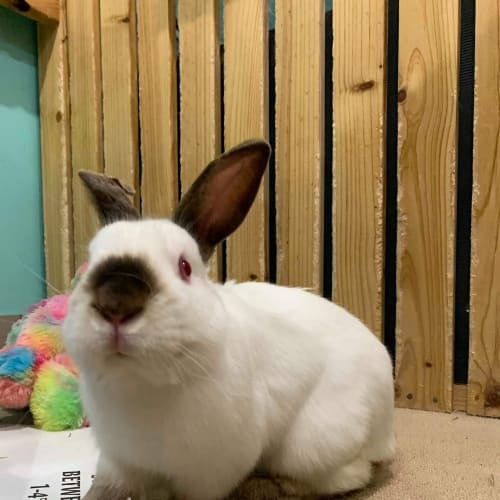 I can't get enough love and pats from my humans, and I would make the perfect companion and friend.I like small dogs, I get along with cats, and I love kids and strangers too! I'm a really playful guy, and super easy to entertain (my favourite toy is a ping pong ball). I'm quiet and cute too - instead of meowing I make a really adorable ""beep-beep"" noise!You won't regret letting me into your life - I'm the perfect cuddle companion, and my big, bubbly personality will make you laugh every day. If you're looking for someone to love, look no further!&#128171;To be considered for a meeting please fill out our obligation-free application form below. Applications will be forwarded to the carers. 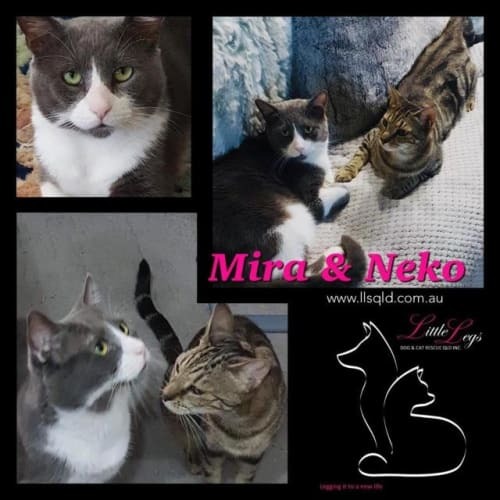 *Please Note- Some animals are extremely popular and generate a lot of interest, carers will call only suitable applicants to arrange meetings and not every applicant will receive a call back.http://www.llsqld.com.au/catapplicationform.html * All Little Legs cats are desexed, microchipped, vaccinated prior to adoption **All Little Legs Cats are given a two week ( 14 days ) trial period and can be returned for a partial refund during this time*** Enquires ~ Stina Cat Coordinator cats@llsqld.com.auAll Dogs, Cats, Puppies & Kittens go to their new homes: DesexedVaccinatedMicrochippedUp to date Flea & worm prevention. To apply please follow the appropriate link:Dogswww.llsqld.com.au/dogapplicationform.htmlCatswww.llsqld.com.au/catapplicationform.htmlPocket Petswww.llsqld.com.au/pocket-pet-adoption-form.htmlAll our animals go to their new homes with an in home trial period.Pocket Pets : 7 days Adult Cats : 14 days.Dogs & Kittens : 7 days. ABOUT MIRA Hi, My name is Mira and I love attention and pats. I am happy sitting on your lap or laying in your bed. I would love someone who is home most of the time because I love human company. If you have children that's wonderful because I love to be patted by them and to play with them. I am very selective with other pets as I don't like to share. I am really playful and love to play with cat toys and love it when you join in. ABOUT NEKO Neko is a very sweet boy who has had a really rough start. He loves to be with you and is happy to sit and get pats or follow you around the house. He can be talkative and will let you know if his food bowl is empty. He can be a bit unsure about sitting on the lounge or bed but is learning that it's ok and he won't get into trouble. He is happy to cuddle. 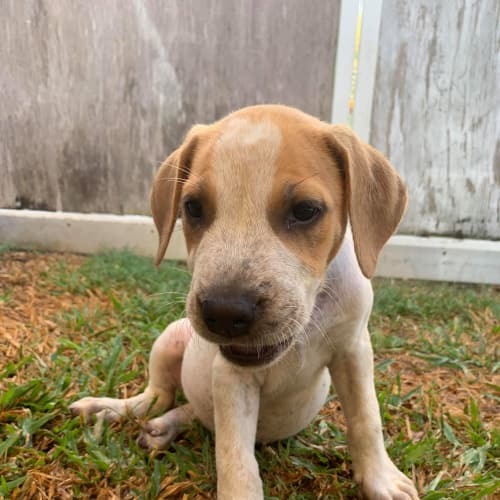 Neko is just looking for someone to love and look after him.All Dogs, Cats, Puppies & Kittens go to their new homes: DesexedVaccinatedMicrochippedUp to date Flea & worm prevention. To apply please follow the appropriate link:Dogswww.llsqld.com.au/dogapplicationform.htmlCatswww.llsqld.com.au/catapplicationform.htmlPocket Petswww.llsqld.com.au/pocket-pet-adoption-form.htmlAll our animals go to their new homes with an in home trial period.Pocket Pets : 7 days Adult Cats : 14 days.Dogs & Kittens : 7 days. Majka loves cuddling or just sitting with you, even snoozing in bed with you. Head rubs, back rubs and under chin rubs are heaven to her. She will grab your hand and lick you just to make sure you are groomed to her standard. 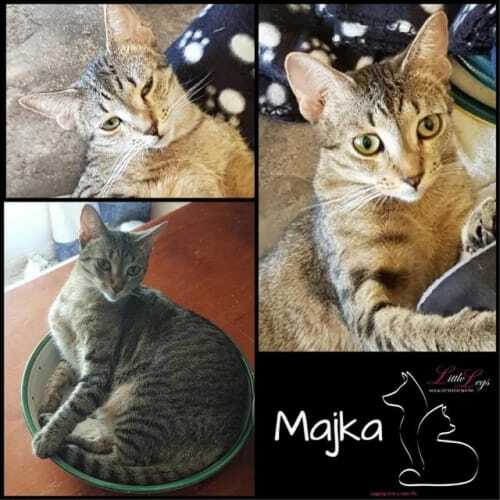 Majka would love a home where she can snuggle her days away. 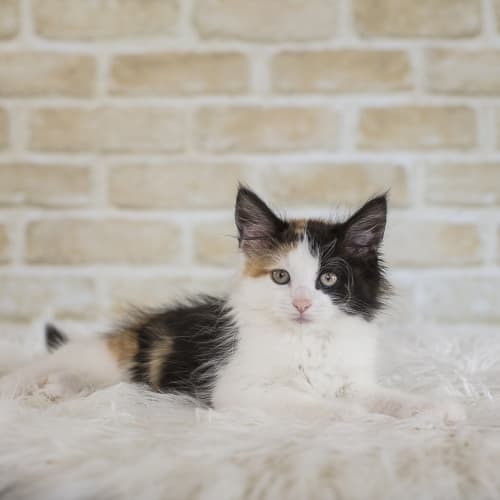 Once she's settled in her new home she will shower you with love & even become your own personal groomer.All Dogs, Cats, Puppies & Kittens go to their new homes: DesexedVaccinatedMicrochippedUp to date Flea & worm prevention. To apply please follow the appropriate link:Dogswww.llsqld.com.au/dogapplicationform.htmlCatswww.llsqld.com.au/catapplicationform.htmlPocket Petswww.llsqld.com.au/pocket-pet-adoption-form.htmlAll our animals go to their new homes with an in home trial period.Pocket Pets : 7 days Adult Cats : 14 days.Dogs & Kittens : 7 days. 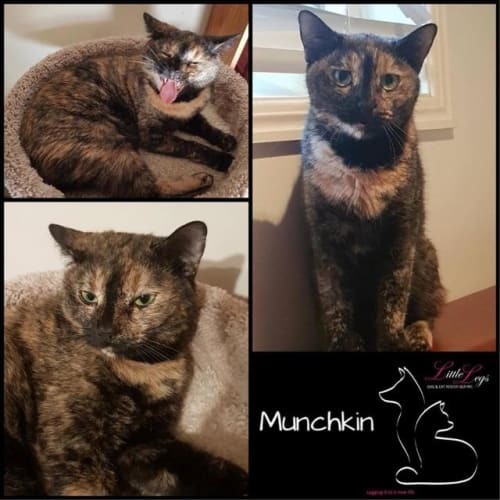 Munchkin is a sweet chatty girl. She talks a lot and calls out when she sees you. She would prefer to be an only cat but is okay with other quiet cats. Munchkin loves to be with you and loves head rubs and pats.All Dogs, Cats, Puppies & Kittens go to their new homes: DesexedVaccinatedMicrochippedUp to date Flea & worm prevention. To apply please follow the appropriate link:Dogswww.llsqld.com.au/dogapplicationform.htmlCatswww.llsqld.com.au/catapplicationform.htmlPocket Petswww.llsqld.com.au/pocket-pet-adoption-form.htmlAll our animals go to their new homes with an in home trial period.Pocket Pets : 7 days Adult Cats : 14 days.Dogs & Kittens : 7 days. Garfield is a very chill cat. He likes to lay around, watch out the window and will come over for pats when he sees you. 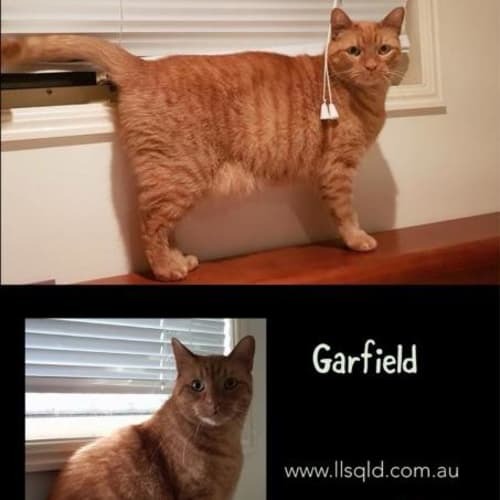 Garfield will make the perfect new friend for a quiet family where he will be the only pet ( dogs or cats ). He prefers to be king of the house but adores his humans.All Dogs, Cats, Puppies & Kittens go to their new homes: DesexedVaccinatedMicrochippedUp to date Flea & worm prevention. To apply please follow the appropriate link:Dogswww.llsqld.com.au/dogapplicationform.htmlCatswww.llsqld.com.au/catapplicationform.htmlPocket Petswww.llsqld.com.au/pocket-pet-adoption-form.htmlAll our animals go to their new homes with an in home trial period.Pocket Pets : 7 days Adult Cats : 14 days.Dogs & Kittens : 7 days. 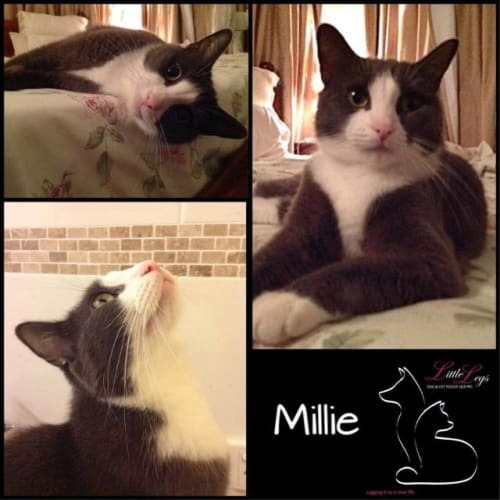 Hi there,I'm Millie the Memorable, Millie the Magnificent, Millie the Misunderstood... ?? eh?...My foster family love me so much - all they want for me is a snuggly home and a loving family to call my own for the rest of my life. I'm about four years old now and I've spent the last year in foster care. I've had to move a couple of times but I've finally had a chance to settle down and over the last seven months I've really been able to get to know my foster family which is good, because I took a little time to warm up to them. When I first came to my foster home, I was so sad and scared after moving so many times. I didn't know anybody and I didn't know what was happening. My foster family tried so hard to make me feel safe but all of the attention was confusing and I tried to run away from it, and if that didn't work, I tried anything I could. Sometimes this even meant that I would bite and scratch my foster mum. l was no angel and definitely not the friendliest or cuddliest cat in the world. But my foster family kept loving me anyway, talking to me, getting close to me, touching me and even picking me up and would you believe it - most of the time I even enjoyed the chats, tolerated the affection and even started to trust them? (I would never tell them that ...sshh!) I think they know though because I get pats all the time now and the big one even picks me up and kisses me on top of my head...grrr ... sometimes it's overwhelming... but most of the time I just purr and lap it up as long as my foster mum knows I'm the boss and we I've had enough, I mean I've had enough!Why am I telling you this? Because I want to be wanted. I want to be loved, even though sometimes I might act like I don't. I still bite and scratch occasionally if I'm feeling a little afraid. Unfortunately that means no small children as I can get scared from loud noises and my foster mummy thinks my sharp claws and teeth may hurt them. 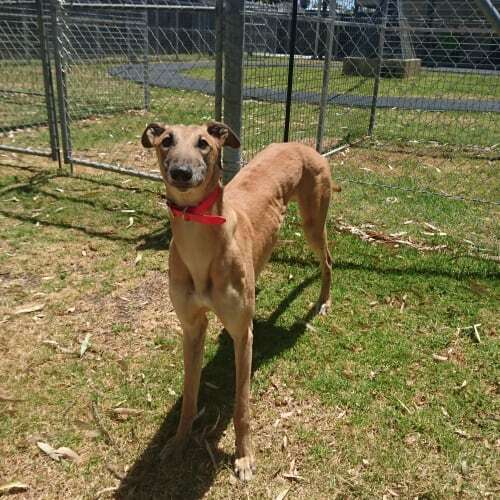 But I want someone to love and if you do too and understand I'm an independent woman who needs gentle patience and not too many cuddles, then I think I may have found my soulmate.It may take a while, but I'm worth getting to know! When can I meet you?All Dogs, Cats, Puppies & Kittens go to their new homes: DesexedVaccinatedMicrochippedUp to date Flea & worm prevention. To apply please follow the appropriate link:Dogswww.llsqld.com.au/dogapplicationform.htmlCatswww.llsqld.com.au/catapplicationform.htmlPocket Petswww.llsqld.com.au/pocket-pet-adoption-form.htmlAll our animals go to their new homes with an in home trial period.Pocket Pets : 7 days Adult Cats : 14 days.Dogs & Kittens : 7 days. Hello future family!! 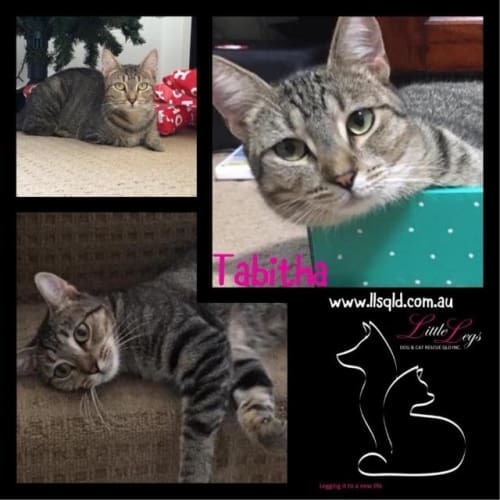 My name is Tabitha and my foster mum tells me I'm a gorgeous girl who was saved from death row. What an awful place for a little lady. When I first came into care I was quite cautious and timid of people. Since being in foster care I have learnt that people give great pats and have gotten over my fears. I can be quite smoochy and love cuddles in bed with my foster mum. I can also be quite playful and sometimes think its fun to run away from people. Sometimes if you follow me I won't go far before flopping over and demanding pats. If I sound like the one for you please fill in an application form Love TabithaAll Dogs, Cats, Puppies & Kittens go to their new homes: DesexedVaccinatedMicrochippedUp to date Flea & worm prevention. To apply please follow the appropriate link:Dogswww.llsqld.com.au/dogapplicationform.htmlCatswww.llsqld.com.au/catapplicationform.htmlPocket Petswww.llsqld.com.au/pocket-pet-adoption-form.htmlAll our animals go to their new homes with an in home trial period.Pocket Pets : 7 days Adult Cats : 14 days.Dogs & Kittens : 7 days. I love my Kong toy! I’m a handsome devil aren’t I? Well my race name is Heracles so it makes sense for me to be as handsome as my Greek namesake. As well as my good looks I have a strong, confident personality so would suit living as the only dog. I can get a bit excited by my toys so would be better suited to a household with older children.I look forward to joining a household who are happy for be to become part of their family and be included in their everyday activities.As with all greyhounds I am a work in progress, I will still need further training, socialisation and maybe some management strategies to truly thrive in your home. 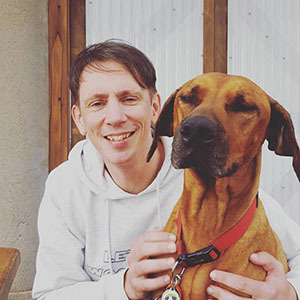 The GAP team can provide you with lots of hints and tips to help me on my way but please be prepared to be patient and spend some time working with me. 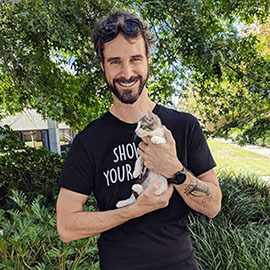 Marigold is a fluffy affectionate playful delight. She loves to lie on her back for tummy rubs. Marigold enjoys the company of people and she’s quite confident so she’s likely to make herself known to visitors, seeking attention. Marigold is really beautiful and her nature cannot be faulted. She’s a heart breaker and you will no doubt fall in love with her quickly and completely. Marigold has 2 sisters they all look very similar and she would love to be adopted with one of them. We offer discounts for adopted 2. 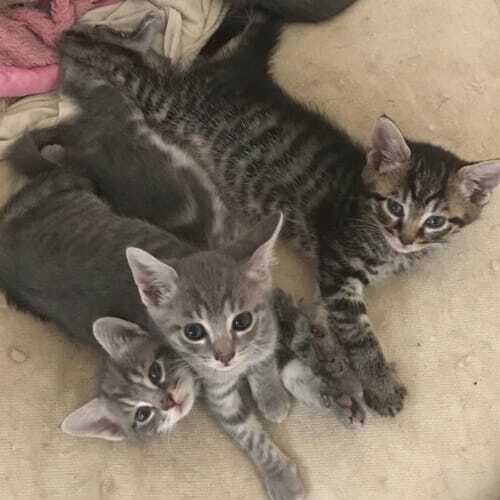 Meet Rafiki, Moni and Tina. Rafiki (male-dark tabby). Inquisitive, affectionate, a real purr engine and appears to have a fetish for feet and toes. Can be a little dominant over his siblings.Moni (female-dark grey tabby). Very affectionate, gaining more and more confidence to strive for what she wants, ultra pure engine and almost a lap kitty.Tina (female-light grey tabby). Very affectionate, inquisitive, can dominate during play time and definitely a lap kitty in the making.They’re vaccinated, wormed and microchipped and will be desexed at 2.2kg. Any one of these amazing kittens would be an awesome ray of sunshine to any family they’d be lucky enough to call their own.....and now they just want to meet you 😻. They are currently in foster so if you’d like to meet them then please send us a message.